Great slatwall shelving to hold a variety of items! 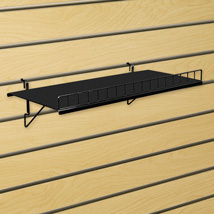 This solid black slatwall shelving with lip is heavy duty and will hold a variety of products: Candles, Clothing, Food or Cellular Accessories. 1 in. lip keeps items from falling off the shelf. 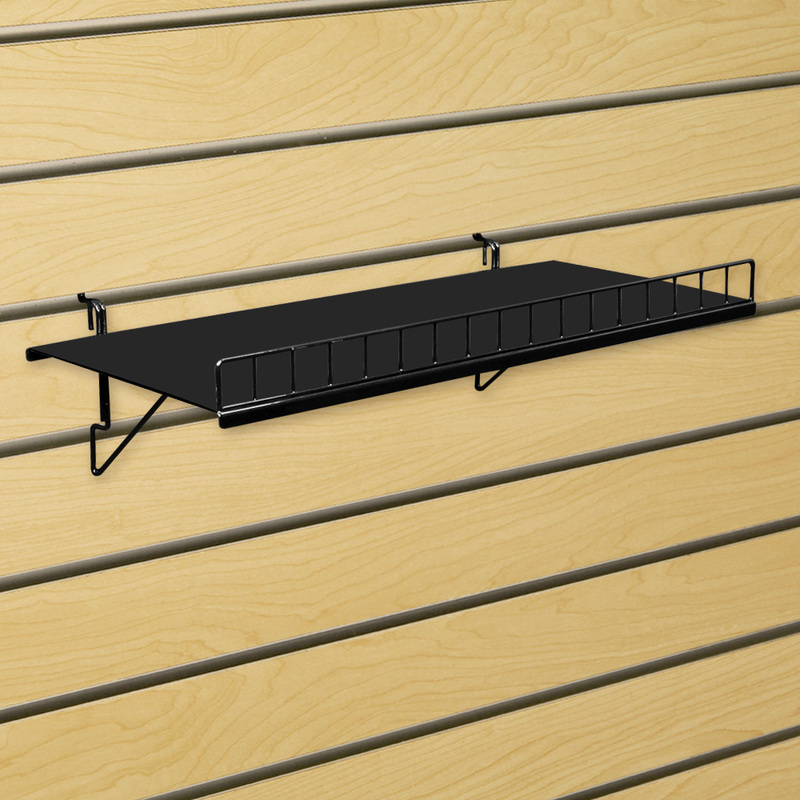 For many more options, we invite you to take the time to go through our complete range of slatwall shelving at Specialty Store Services today.